With the amount of startup businesses failing at a steep 95%, it is no wonder why many entrepreneurs are opting​ to start with buying a franchise. Starting a franchise often takes a large upfront investment, but so does owning any type of business. Owning a franchise is a safer alternative that will offer the benefits of having your own business while taking out most of the risks that small businesses are faced with due to the proven concept and system you're buying in to. By purchasing a franchise, you are essentially purchasing a proven system. Franchises of all natures have already been established and have guidelines that you will follow in order to manage everything from inventory to payroll. Having a proven system eliminates most mistakes that new business owners make, by giving them a sort of checklist to follow in the beginning. One of the major factors in the success of any business is the brand. Buying a franchise allows you to skip the initial marketing efforts as you're buying a brand that people already know. Educating the public and achieving brand recognition are often the hardest part of starting a new business and with a franchise, it reduces the need for either of those things. In the post financial-collapse world, lenders are increasingly stingy with the funds most start-ups need to grow. Lenders are far more comfortable financing a franchise due to the already proven track record. A banker will generally see a successful franchise as low risk of default which makes them more likely to loan you the money. Often times franchises will even provide their own in-house financing to buyers, although this could be at very high rates, so do your homework first. Along the same lines as branding, marketing has essentially been taken care of for you. Often you'll pay a monthly fee and be part of a marketing pool that pays for the tv spots and the billboards in your area while splitting the cost with other owners of this franchise. If you're a restaurant, the food orders are handled the same as all other food orders and probably with the same company. Ordering equipment is streamlined as well. This trickles all the way down to items like pens and business cards. For example, if your franchisor uses goimprints to order branded pens for the servers, you'll never have to wonder where they came from, or shop local outlets to get prices. 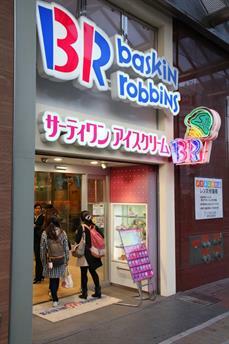 In fact, the price is often lower due to the bulk purchasing power of dozens (or hundreds) of other franchise locations. Before you get started most franchise companies offer a training program. This could be a week long process or in many cases could last upwards to a month. The franchisor will provide you with the proper tools to run your business the same way other locations are running. This will help you to run your business in the most efficient way possible and will eliminate common mistakes that often lead to failure. Being a part of a franchise means that you are never alone. You will always be supported by the franchisor and are a part of a family. This gives you the ability to pick up the phone and ask questions in the event that you are in doubt. The franchisor is not the only one that is ready for you call; those who have made the step before you will also be available to assist you. If you are feeling stuck in your current profession without potential to advance, but are too afraid of failing in your own venture, then franchising may be the perfect solution. You will have the flexibility you want while having the support to help you need to help you find the success that you have always known you are capable of achieving. Anna is a web writer who focuses on personal finance, business and property.